Student Loans and Bankruptcy: Is Bankruptcy a Good Option? Student loans and bankruptcy in Canada is a confusing topic. Will my student loans be discharged in a bankruptcy or not? What is the 7 year rule for student loans and bankruptcy about? Can I declare bankruptcy with student loans? In looking at your debt relief options, we will tackle the subject of students loans and bankruptcy in order to clear up some of the mystery. (h) any debt for interest owed in relation to an amount referred to in any of paragraphs (a) to (g). In simple terms, this means that a student loan will only be automatically discharged in a bankruptcy if you wait for seven years after you finish school, and then declare bankruptcy. It’s not the date of the loan that matters; it’s when you ceased to be a student that is the relevant date. If you get a loan in 2002, and graduate in 2006, the seven year time period starts in 2006, not 2002. 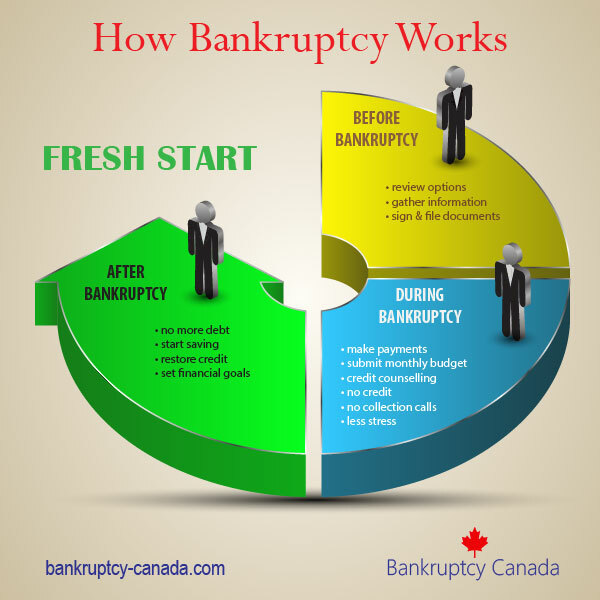 In this example you would need to wait until 2013 to declare bankruptcy in Canada and have your student loans eligible to be automatically discharged along with your other debts. A word of caution: The seven year rule means that you must not have attended ANY school for the past 7 years. Even one part time class will result in your student loans not being automatically discharged in your bankruptcy. So what happens if you are really struggling and you feel your financial situation is so bad you just will not be able to pay back your student loan? If it has been five years or more since your ceased to be a student you may apply to have your student loans discharged in a bankruptcy under what is known as the ‘hardship provision’. (b) the bankrupt has and will continue to experience financial difficulty to such an extent that the bankrupt will be unable to pay the debt. What this means is that you may apply to court to have your student loan reduced or discharged after five years. 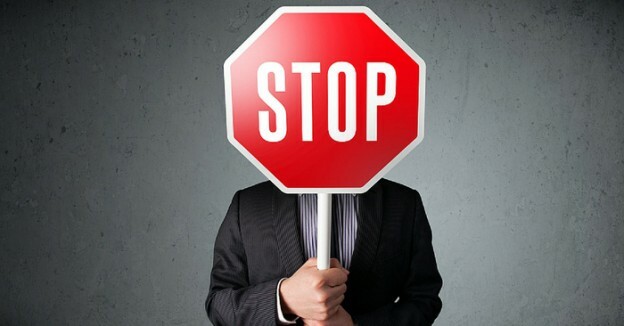 You must be able to satisfy the court that you have and will continue to experience undue financial hardship that will prevent you from paying back your student loans, that you have made all efforts to repay those loans including applying for repayment assistant programs and that you used your student loan money appropriately. If you ceased to be a student more than seven years ago, and you are unable to pay your student loan, bankruptcy is a possible option and your student loans will be included in your bankruptcy. You could wait until the seven years has elapsed, and then declare bankruptcy. If you have significant other debts, such as credit card debt, in addition to your student loans, bankruptcy may still be a good option. 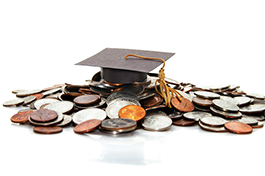 If you deal with your other debts you may find you now have sufficient income to repay your student loan debt. The right choice will depend upon your personal situation including how much you owe in both student loan and other debts. If you ceased to be a student more than five years ago and are experiencing undue financial hardship, bankruptcy may be an option if you qualify for the financial hardship provision. 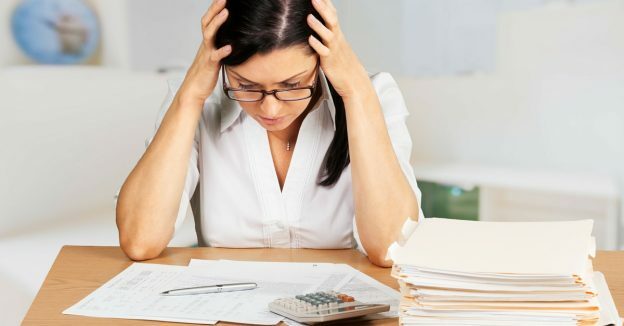 If you are struggling with student loan debt and are considering bankruptcy, you are best to contact a trustee in bankruptcy who can review your situation with you and help you decide if bankruptcy is a good option for you. When are Student Loans Discharged in a Bankruptcy in Canada?